New Arrival, photos coming soon! Just in from Florida this very nicely maintained 1966 Sunflower Yellow Corvette Coupe with Black interior. It has the matching numbers original 327ci./300 HP V8 engine. The 16 factory options include; a powerglide automatic 2 speed transmission, factory air-conditioning, a teakwood steering wheel with a telescopic steering column, tinted glass, AM/FM radio, power windows, power steering, power brakes, traffic hazard switch, side exhaust, aluminum knock off wheels and a 3.08:1 positraction rear end. 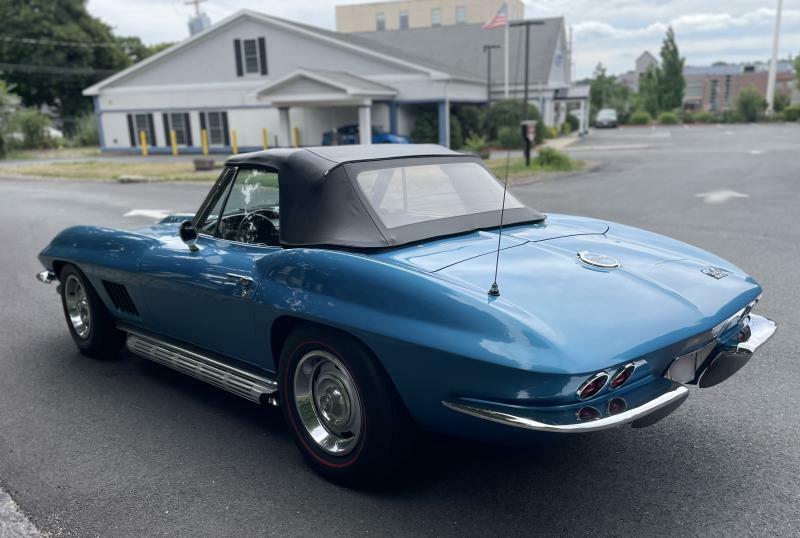 This is a great looking highly optioned mid-year Corvette with very nice paint, body and frame. Here is a great opportunity to own a very desirable Mid-Year Corvette that looks fantastic and a pleasure to drive. Asking price: $59,990 - Get an Auto Loan in 1 Minute!